Thank you, Fox Valley Tech, for allowing us to be part of the Kid’s Expo! We had a beautiful day full of many young visitors learning about our heavy equipment & we are already planning for next year! 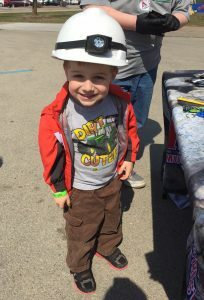 Kids were able to climb in one of our front-line loaders, construction tractors, and one of our ready mix trucks. 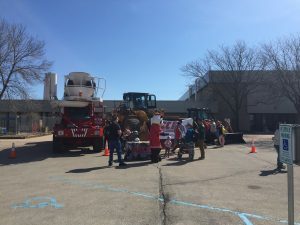 Children and adults alike were greeted by the sound of the trucks air horn (Much to parents chagrin). 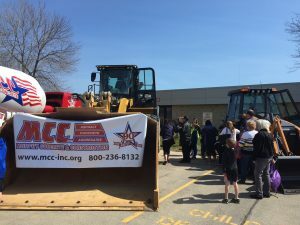 We at MCC Inc. really appreciate the opportunity to allow the children an opportunity to see the wonderful equipment that our employees utilize to build the Fox Valley; we look forward to being a part of this great event every you on out! Next on the list – check your calendars for the first annual MCC, Inc. Job Fair at our Corporate Office in Appleton.